Spacious 3 Bedroom, 3 Full Bath All-Brick Bi-Level on 1/2 Acre Fenced Lot in popular South Broadview Subdivision! There is even a spot to park a camper to the 50 amp electric outlet! 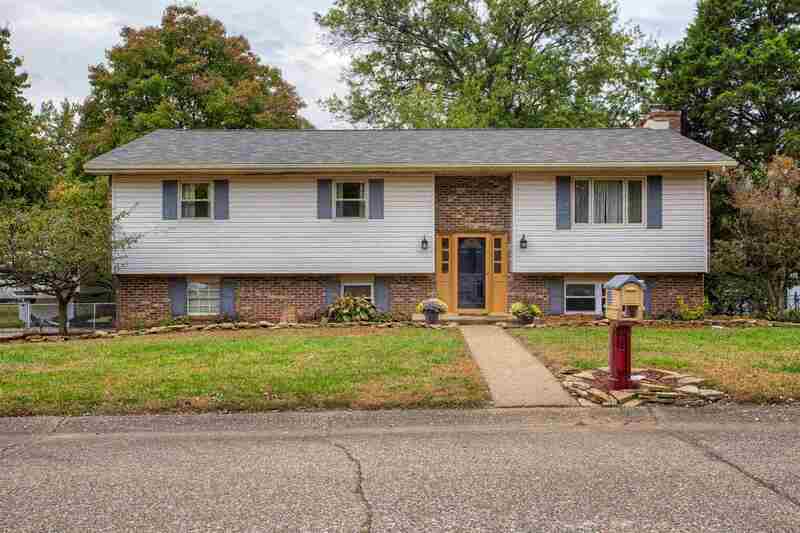 This well-maintained home has many updates per owner: 2018 roof, 3rd bath, microwave; 2017 furnace, central air, dishwasher, refrigerator; 2016 50 gal water heater, ceiling fans; and newer windows, Nest thermostat, light fixtures, and more! The huge Eat-In-Kitchen has a large peninsula with plenty of seating, GE Stainless fridge, high faucet, and extra cabinets on the side wall. The sliding doors lead to the large deck that overlooks the .5 acre yard. The Master Bedroom has a private full bath with step-in shower. The large Family Room in the lower level has new wood flooring and a wood burning fireplace, and the door leads to the patio under the deck. The 3rd Full Bath is brand new! There is a separate Laundry Room. Part of the 2 Car Garage is finished as an office, but can easily be removed to revert back to garage space. The lot is semi-private with no neighbors directly behind, and there is plenty of space to enjoy being outside. Included: all Kitchen Appliances, washer, dryer, all window treatment, shed, playset. Possession at Closing!